I would like to invite you all to my first solo art show, “Lovelies”, opening at Leanna Lin’s Wonderland in August 5 from 5 PM – 9 PM. 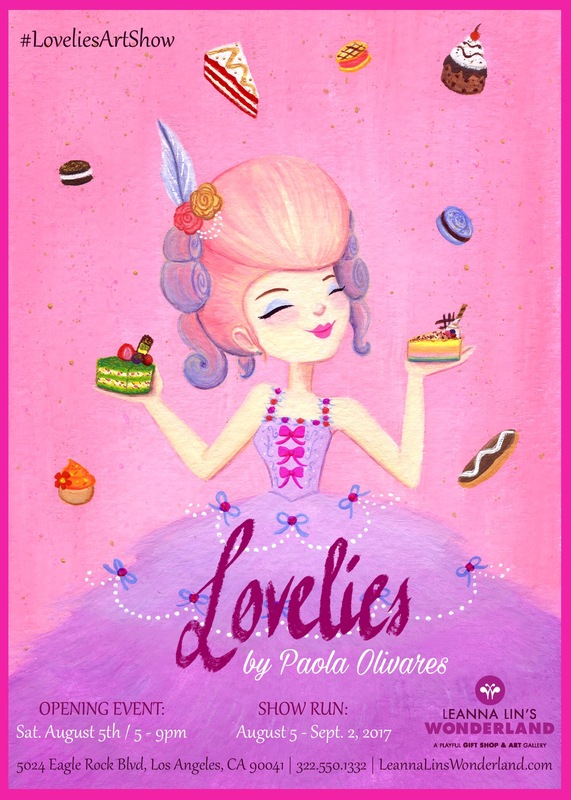 This show will showcase all original artworks that are inspired by desserts and fashion. It is also an opportunity to highlight diversity as well as exploring the imagination that will make your sweet tooth ache. Lovelies will run from August 5 until September 2. I do hope that this new collection will be the start to my next art book that I will hopefully release soon. Feel free to stop by, and say hi if you are in the area. Hope to see you all there!